"Notice that you have to bend down to go through the doors. That's so that nobody could enter a room with a weapon above their heads." The guide pointed out the defensive features of Crathes Castle and created a vivid impression of impregnability. In particular, the yett, that was placed behind the front door, is thought to be a Scottish innovation. It is an iron gate with bars that weave in and out of each other and joints that tightened under pressure making it impossible to prise apart. It was unlikely that anybody could get through this and if they did there was another sneaky surprise in store- a trip step so that they would fall flat on their face on the first attempt to get up the stairs. 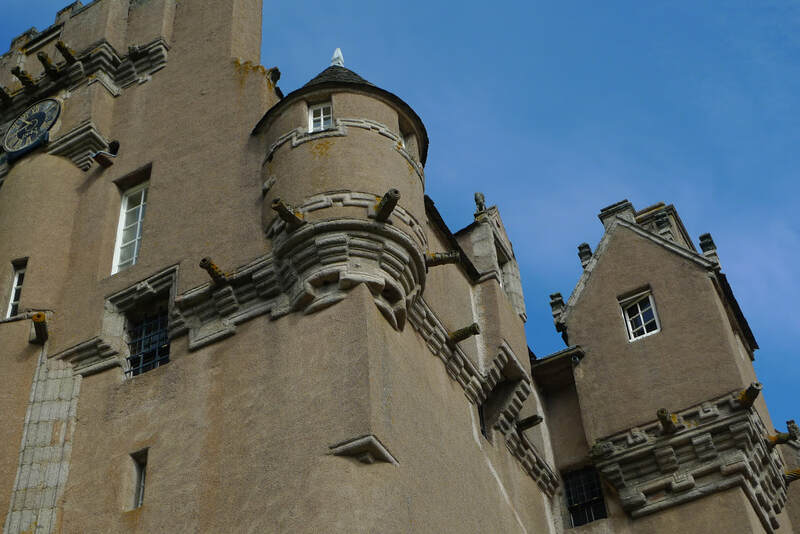 Crathes Castle is located alongside the Deeside Way cycling path, so an ideal place to stop-off when riding this route. In fact, there is a lot to see in this one location, including a craft centre displaying works from local artists, and the Deeside Railway with its vintage train rides. 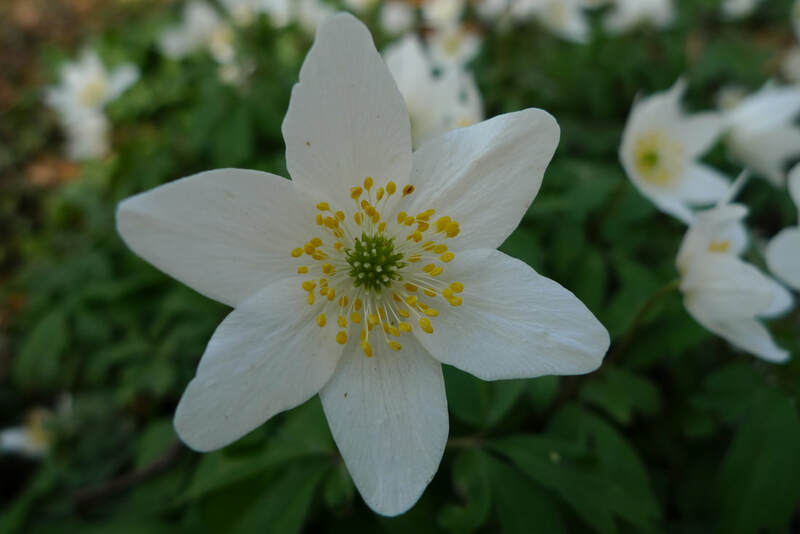 The approach into the town is memorable cycling with a forested section that had a vast carpet of tiny white petals and yellow flowers- Greater Stitchwort, one of my favourite wild flowers. 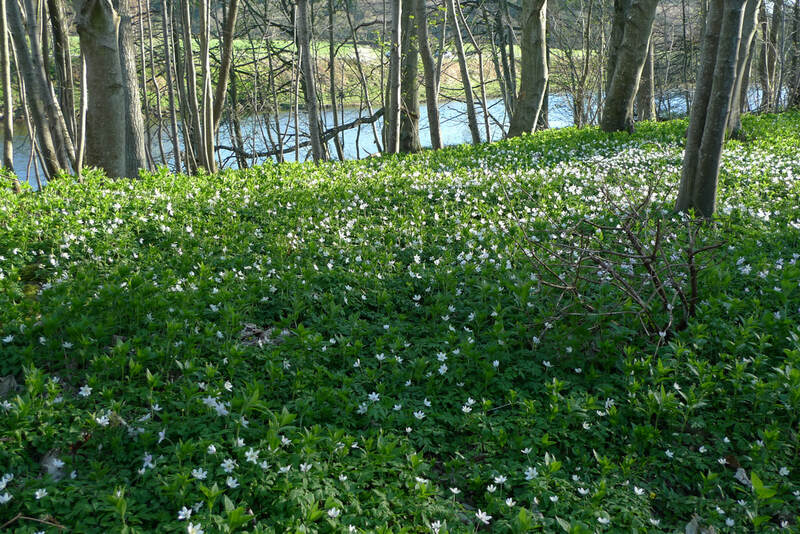 The path is alongside the River Dee, passing through parks with plenty of trees and songbirds dancing around. 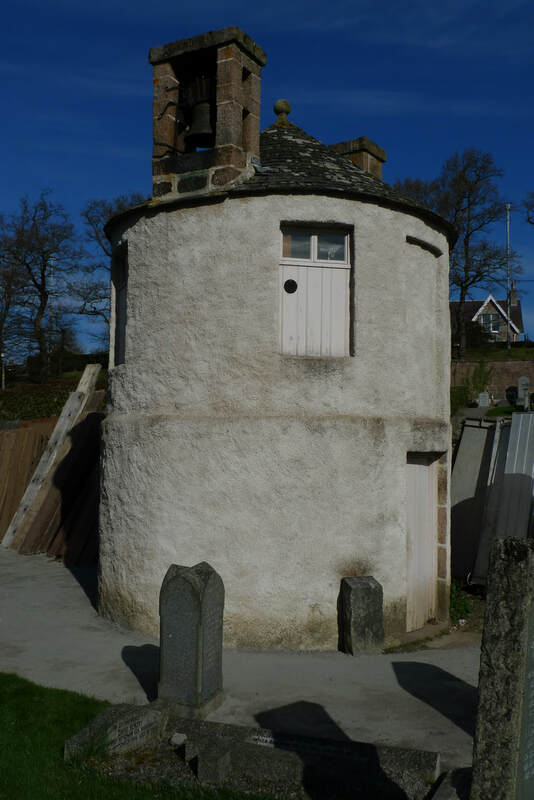 In a graveyard I spotted a curious round tower; it was a watchtower installed to deter grave robbers in the nineteenth century. It had a bell and the sight of this sent a shiver down my spine as I imagined it being rung by a panicking watchman on spotting body snatchers. The sound would awaken the foggy town and the people would be in no doubt about what was going on. 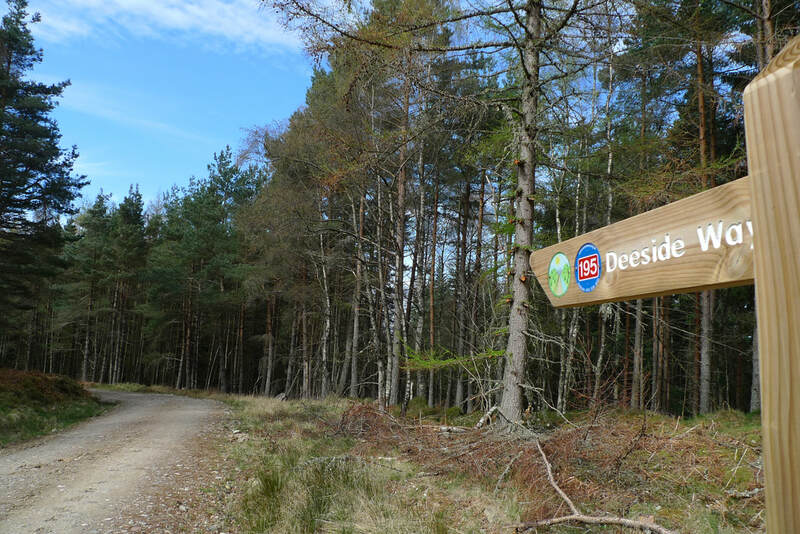 I chatted to a man from Aberdeen who had just discovered the Deeside Way and rescued his bicycle from long-term garage storage. "It's amazing the places you can get to on a bike," he said with the biggest grin. "Left the car at home." 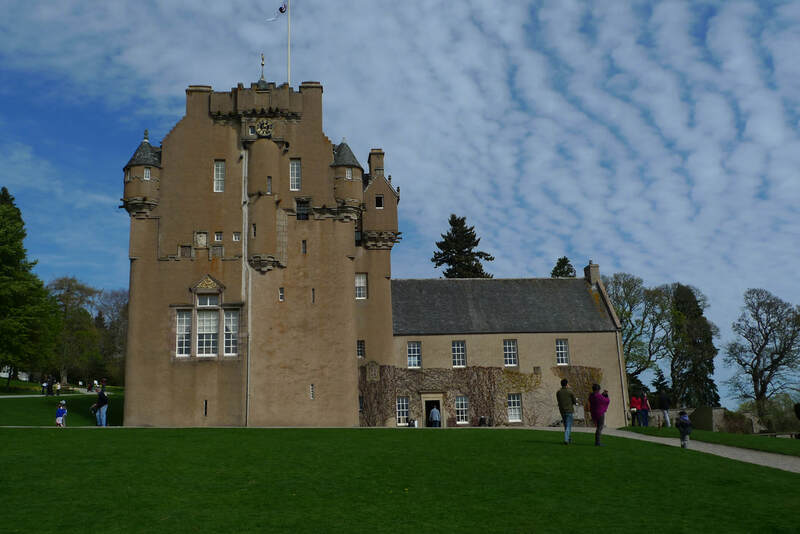 Crathes Castle is one of those amazing places you can cycle to. The painted ceilings are worth the admission alone. The room of the Nine Nobles features bearded military heroes, like Alexander the Great, Hector of Troy and Julius Caesar. The roof of the Green Lady's room has all kinds of strange things- I spied a dragon with a human ear and long tongue. Helpfully, there are handheld mirrors to make it easier to view the exquisite detail and bright colours of these ceilings. In the Laird's bedroom there is one of the most stunning four poster beds I have ever seen. It is made of red oak and carved with dogs, lions and human faces. I couldn't stop looking at it. ​From Banchory to Aboyne the cycle route diverts away from the original railway line and heads into the hills on forestry paths. It was tough ascents and the path was rough in parts, but among the trees I had pine scent and a welcome cool air that had the same effect as poking your head into a fridge on a roasting day. It ended with one of those super fast downhills that cyclists dream of and made it impossible for me to avoid laughing and breaking out a wide smile. At Kincardine O'Neil a woman wearing an apron was standing by the road. "Would you like some coffee and homemade cake?" The church hall was open as a cafe today, but I didn't have time to stop. At this point there is a gap in the cycle path and there is no choice but to use the A93 for the next 5 miles to Aboyne. This was the least enjoyable part of the day and although the traffic was not too bad there was one incident that sticks in my mind. I had a queue of vehicles stuck behind me, unable to overtake because a cyclists was travelling in the other direction, also with vehicles trailing him. Foolishly, the driver of a Range Rover decided to overtake me and very nearly struck the other cyclist. There are plans to fill in this gap in the Deeside Way and hopefully that will happen soon, but if I had to use this road again I would try to choose a time of day when traffic is likely to be minimal. Aboyne was the original terminus of the Deeside railway so it explains the grandeur of the railway station. It is made of granite, almost too long to fit into a camera lense, and has turrets. Today it is marooned in a car park and home to shops and local businesses. ​After my A93 misadventure I was over the moon to find myself on a pathway that had the comforting signs of being back on a disused railway. I discovered the old Dinnet station in a heavily wooded section. Although it is quite a plain building it is made beautiful by the use of two different colours of bricks to create a decorative frame around the windows and doors. It is a classic example of how nineteenth century railway architects managed to make even the most basic of structures look special. The next station on the route was even more lovely. Cambus O'May is possibly the cutest station I have ever seen. It is a tiny timber framed building and in the most fairy tale location imaginable. It looks over the River Dee and is surrounded by forest. When the railway was still operational this must have been a dream posting for a Station Master. Ask a film set designer to come up with an idyllic Scottish rural station and it is unlikely they would better this. The Hogwart's Express should have come here. A suspension bridge across the river tops off the beauty of Cambus O'May. I walked across the white lattice structure and back again, noting that walking routes into the woods make this a place to return to for further adventures. I got chatting to a couple who had been at a mountain bike festival in Ballater. "I tried out a £5000 Canondale," the man told me. "What does £5000 worth of bike feel like?" I asked. "Well... it was very light... and it had a button that raised and lowered the seat post. I suppose you need a special feature to justify the price." They also talked about a trip to the Western Isles with their children where they always seemed to have something going wrong with the bikes when they were miles from a repair shop, "But," said the woman, "there is always a joiner willing to let you rummage around in their van and take what you need to make emergency repairs." Just 3.5 miles more cycling brought me to Ballater and the end of the Deeside Way. I checked into Osbourne House bed and breakfast, a distinctive building with a veranda that makes it look like a colonial legacy you would stumble upon in Africa or India. 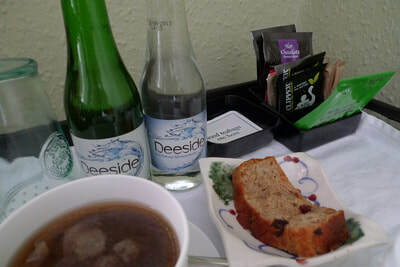 I was welcomed by Neil with still-warm fruit cake to have with tea and local Deeside mineral water. 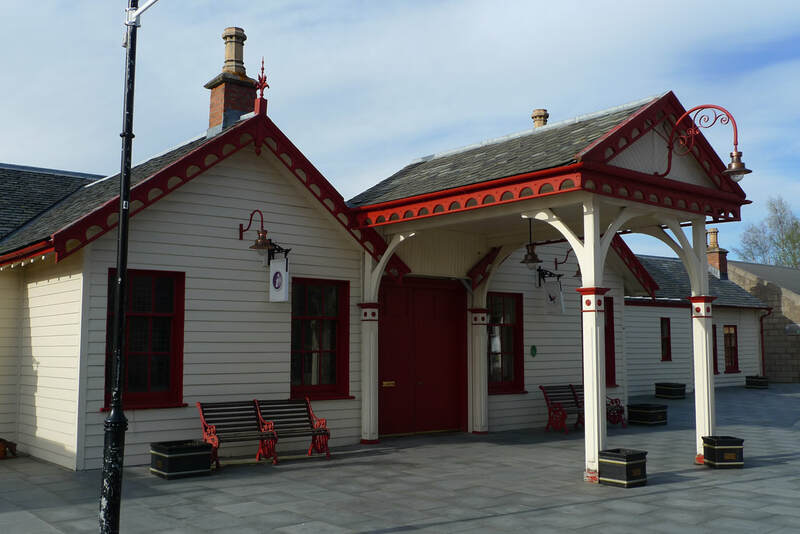 Ballater station was the highlight of the Deeside Railway's remnants because stepping through its doorway was like a portal into the golden age of rail travel. There was an exhibition about the Royal Train where I boarded a carriage to view the plush interior. I was fascinated to read that the exact distance from the engine to the Royal Saloon was issued to station staff in advance, enabling them to work out precisely where to position the red carpet. A man would stand on the platform with a red flag to signal that the driver should stop there and this would mean that the Royal Saloon would line-up exactly with the carpet. Wax models of Queen Victoria and her servant, John Brown, were on the platform, accompanied by sound effects of an arriving steam train. The restored Royal Waiting Room had a breathtaking ceiling decorated with thistles. The Royal toilet had a blue and white porcelain bowl painted with fruits and flowers. My favourite thing about the station was the tea room which managed to perfectly capture the nostalgia of nineteenth century railway refreshment rooms. It was decked out with wicker chairs, marble tables, brass light fittings, wood paneling and a checkerboard floor. The windows had coloured glass with "luncheon" and "teas" etched on it. I ordered fish cakes and looked around at this elegant room. There was no doubt that this was the most perfect way to conclude a cycle ride on the royal railway. Take a train to Aberdeen and then make your way to Duthie Park (about 1.5 miles) where the Deeside Way begins. 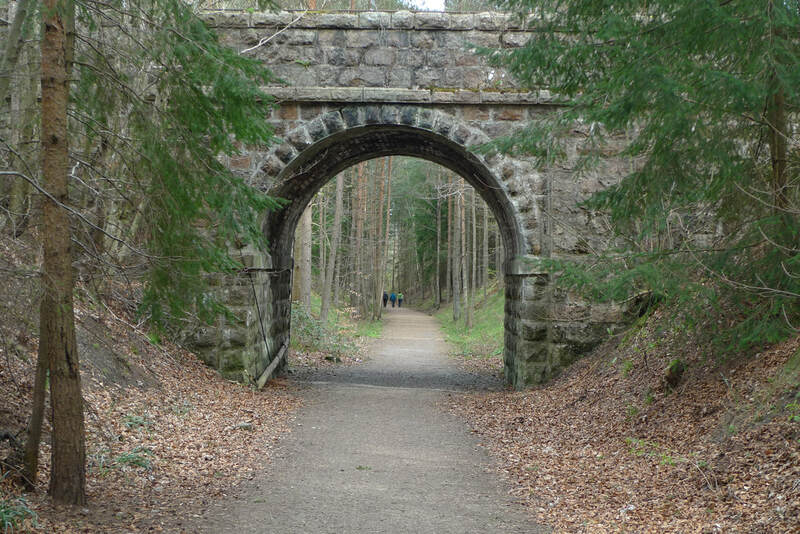 The first section of the route, from Aberdeen to Banchory, is described in the first part of this feature. 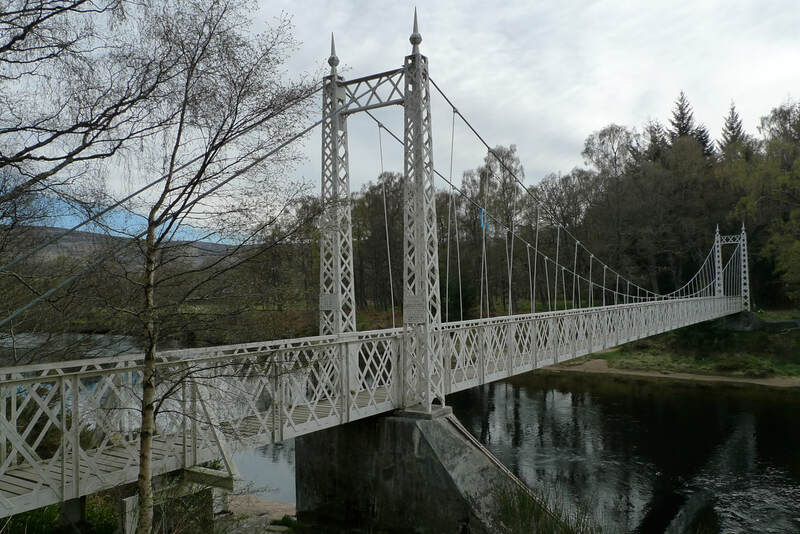 It is about 24 miles from Banchory to Ballater. 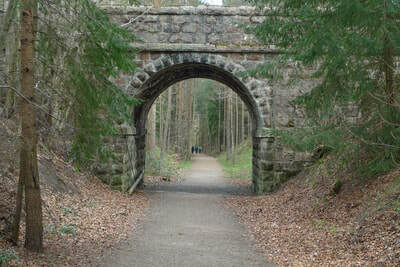 There is a gap in the cycle route between Kincardine O'Neil and Aboyne which means cycling on a main road for 5 miles. I would not recommend this road for novice cyclists. Apart from that the route is on traffic-free paths. It is mainly flat with the exception of the forestry paths after Banchory which are steep. Milton of Crathes, near Banchory, is a must for the many things you can do here. 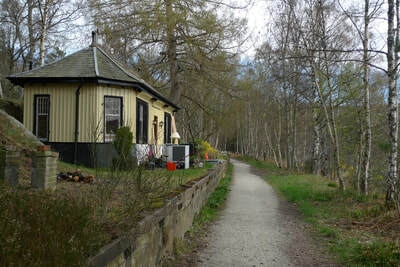 The Deeside Railway runs vintage carriages on a section of track. There is a craft centre housed in former mill buildings. 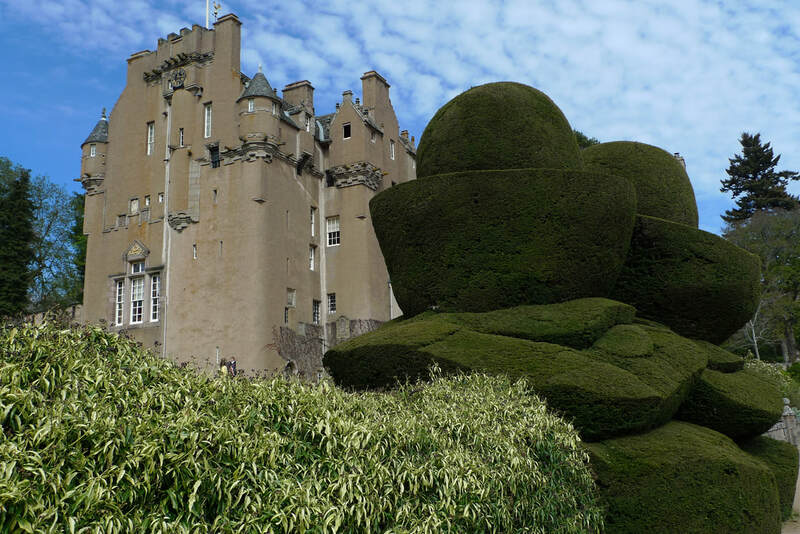 Crathes Castle with its stunning gardens is a short walk or cycle from here. Read part one of the travel feature to find out more about The Deeside Railway. Note that the Cambus O'May suspension bridge is currently not accessible after storm damage (March 2018). 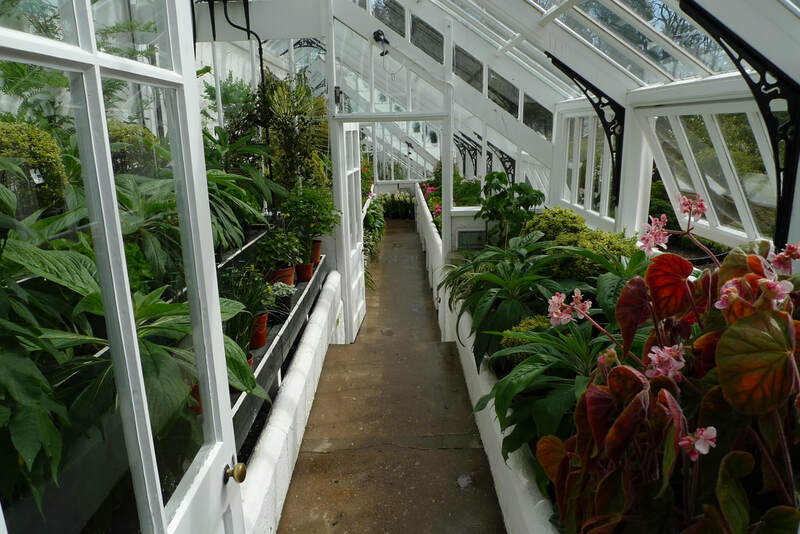 Crathie Castle has a tea room and the nearby Deeside Railway has buffet carriages. 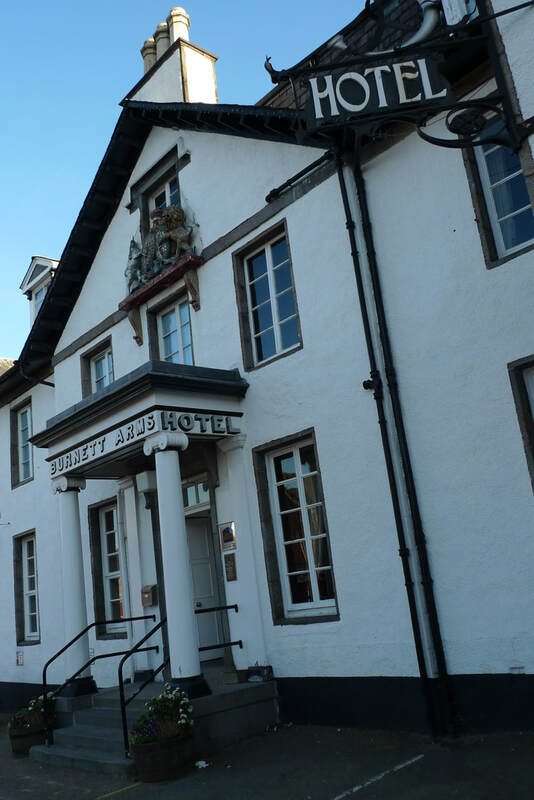 I stayed in Osbourne House Bed and Breakfast, one of the most distinctive buildings in Ballater. It has a traditional decor with lots of interesting ornaments. The lounge, with its ticking clock, is a tranquil place to spend a few hours in the evening. My breakfast of porridge with cream followed by smoked salmon and scrambled eggs was perfection.